My mom and dad own a property with a cell tower built by Omnipoint / T-mobile a few years ago. They are quite upset since this is a significant part of their retirement income and the letter was a bit threatening for them and I’d like to see what their options are. Do you know of any new advances in cellular technology that would cause their site to be less needed? They obviously don’t want to have their rent reduced or tower taken away as this 3rd party is leading us to believe. I’m wondering if the safest way to hedge the risk is to sell the lease to one of these leasing buyout companies. They get calls from MD7 and Unison and Wireless Capital buyers every few months to see if they want to have a buyout of their cell lease, but the latest letter has my parents worried. The other thing that has us concerned is that T-mobile had to know when they built this tower only 3 years ago what their costs are going to be. 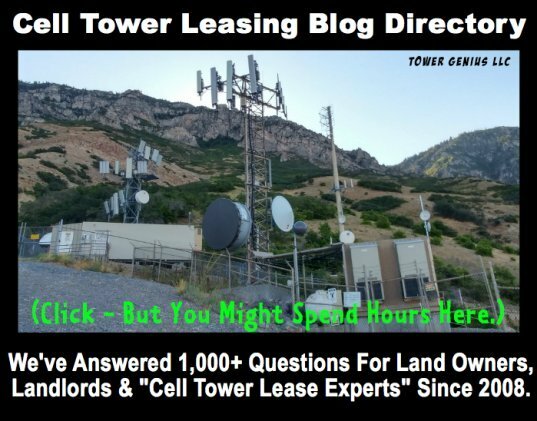 Their existing T-Mobile cell tower leasing terms are $1,850.00 per months rent. We started leasing in 2007 and our initial lease term expires in 2012. We have 2 additional and successive 5-year options to renew the lease (15 year total possible). We also will have 3% annual increases in rent that start in 2012, but had no increases for the first 5 years. We have 1 year written notice required to terminate for any or no reason and we also negotiated immediate termination rights upon written notice if our premises or antenna facilities are destroyed or damaged. Agree to the same rental amount, $1,850 monthly, starting when our 2nd term commences in mid 2012. We would get 10% rental increases every 5 years, instead of the 3% yearly increases in rent we currently have, starting at the end of the 2nd term in 2017. A rental holiday commencing in 2029 and the rent will then resume in 2037. It sound like they are not going to pay for our holiday. In exchange T-Mobile will agree to modify their termination rights thus ensuring the rental income my parents will get starting in mid-2012 for the next following 120 months, totaling around $245K. We agree to have our rent cut down to $1,650.00 per month starting in 2012, and keep the 3% increases through the 2nd term. Bu then my parents would only get 5% increases every 5 years starting in 2017 – that is LESS THAN 1% PER YEAR since it won’t even be compounding yearly. The are proposing a rent holiday starting in 2033 with our rent resuming in 2037. In exchange for our agreement, T-Mobile would modify termination language in our lease and guarantee the rental income from 2012 for the next 10 years, about $200K. If we agree to let them reduce our monthly rent to $1,500 monthly starting in 2012, in exchange, T-Mobile would modify their termination rights and ensure the rental income stream for my ELDERLY RETIRED PARENTS starting when the 2nd term commences in mid-2012 for the next 10 years guaranteeing them $180K. Neither of these options seem fair to us. So you understand, I changed the commencement dates and the rental amounts slightly in proportion to protect the identity of my parents. I hope that is ok.
What do you suggest? I think we should tell them to stop calling and that we don't want any of their proposed offers. Should we start talking to the lease buyout companies that call us now and then? May 2011. MD7 is also in bed with US Cellular. 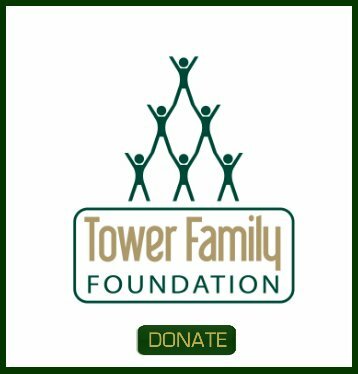 My homeowners association has a tower lease with US Cellular. MD7 has been pestering the home owners association with phone calls about 45-60 days apart for approx the last 2 years. So far, MD7 has not even been given the politeness of a response. Since MD7 has nothing to lose (because they work on savings commissions form the cell tower owners), they'll keep leaving voice mail and it will continue to go unanswered. MD7's ploy is easy to recognize and the homeowners association personnel know that MD7 does not have the power or authority to renegotiate lease contracts, since MD7 is not a legal party to the lease. While the homeowners association personnel have not approached cell tower lease experts for advice and assistance; the homeowners association personnel may be doing so in the future; before telling MD7 to go jump in the lake. Before you tell them to go pound salt, it's a good idea to know WHY you are telling them to stick it. 1) We need to look at your site to see where other sites are located in your area. We use a cellular site database as well as aerial maps and street level photographs. 2) We need to evaluate what other structures may exist in the area where a carrier could relocate their antenna site. 3) Evaluate the zoning code for the area to establish the level of difficulty associated with a site relocation. 4) Establish traffic patterns to estimate what the site covers. 5) We would review your lease agreement to see how it compares to current acceptable terms in your area. Once we understand your sites specifics we can then establish the need for the site, the probability for a carrier to relocate the site as well as factoring in your current and long term needs. After we complete these steps we can evaluate the deals that they are offering to see what best protects you. 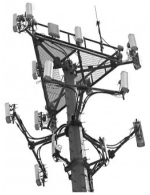 Your cell tower lease may require no modification at all, either way we will deal with the carrier and their representative so that they know you have an wireless expert in your corner and you won't be taken advantage of by either party. This lease valuation process where we evaluate your site takes us a few hours and is very inexpensive but it can save you tens or hundreds of thousands of dollars in the long run. We look forward to speaking to you so that we can organize a site specific plan for your protection. Have a great day. And T-Mobile lets them get away with this? Do any other cell phone companies insult landlords like this? You'd think that for all the time and expense that cell phone companies go through putting up these towers that they'd be hesitant in taking them down.